Today is designated as the Columbus Day holiday in much of the U.S. However, it has become politically incorrect to celebrate Columbus Day these days. Revisionist historians have transformed Christopher Columbus from a brave explorer and proud historical figure into one of the world’s greatest villains. 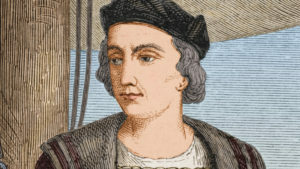 For 500 years, we believed one set of facts about Columbus. He is now credited with singlehandedly decimating the Native American population and forcing them to embrace Christianity. Even the sources that seek to restate Columbus’ place in history differ on the facts. Columbus has become a poster child for why people should reject Christianity. Columbus certainly had his flaws, but we need to be careful of what the mainstream media tell us to believe. There is often an agenda behind the stories presented. The same people would have us believe, for example, that Margaret Sanger is a hero who should be celebrated. They try to refute the authenticity of Jesus, Himself and what He taught. There is information available with a different perspective on these figures that you may not have considered. It may require a little research, but it’s there. Some have renamed this day Indigenous Peoples’ Day. While it is proper to celebrate the indigenous people groups of the world, we must be careful that we are not buying into the subtle deception that permeates our information sources. Where are you learning your history? Who’s influencing your children and grandchildren? Just because it’s on the Internet doesn’t mean it’s true. It is important to evaluate the context of the quotes cited to prove a point, and determine what information or quotations have been omitted. There’s more at stake here than Christopher Columbus’ legacy.